Fionnuala McCormack (Kilcoole) was a fighting fifth on her record 14th appearance at the European Cross Country Championships in Chia, Italy today (December 11). McCormack was understandably left frustrated as she was bidding for a record three European cross country titles. The women’s 8,000m race was won by Turkey’s Yasemin Can in 24:46 with her compatriot Meryem Akda in second in 24:56 with Norway’s Karoline Grovdal bagging the bronze in 25:26. McCormack was pipped by Romania’s Ancuta Bobacel by once second in 25:27 to 25:28. “This championships means so much to me,” said a disappointed McCormack afterwards who made the most appearances by a woman at these championships. The women’s team finished 6th having been fighting for bronze for much of the race with Romania. Ciara Mageean (UCD) was next home in 31st, followed by Michelle Finn (Leevale) in 33rd, Kerry O’Flaherty (Newcastle) 54th, Shona Heaslip (An Riocht) in 59th who unfortunately took a heavy fall on the last hill having been placed well and Laura Crowe (An Riocht) in 60th. Turkey won the team title. Jack O’Leary (Mullingar Harriers) made a bold move for gold in the men’s U20 6,000m race finishing an excellent 6th in 17:21. O’Leary followed Italy’s eventual silver medallist Yohanes Chiappinelli in a two-man breakaway but Norway’s Jakob Ingebrigtsen came back for gold in 17:06. This was a fine performance by the Mullingar Harrier who also led the team to a strong 6th place finish. Peter Lynch (Kilkenny City Harriers A.C.) was next home in 25th, Darragh McElhinney (Bantry A.C.) 39th, Barry Keane (Waterford A.C.) 47th, Fearghal Curtin (Youghal A.C.) 61st and Charlie O'Donovan (Leevale A.C.) 76th. The U20 women had a strong showing to place 10th in the 4,000m race led home by Amy Rose Farrell (Blackrock) 24th in 13:35, Carla Sweeney (WSAF) 31st, Sophie Murhpy (DSD) 38th, Aisling Joyce (Claremorris) 55th, Emma O’Brien (Inbhear Dee/Sli Cualann) 64th, and Jodie McCann (DSD) 72nd. In the U23 races Bethanie Murray (DSD) finished 46th with Amy O’Donoghue (Emerald) two places further back in 48th in the women’s 6,000m. It was won by Poland’s Sofia Ennaoui. 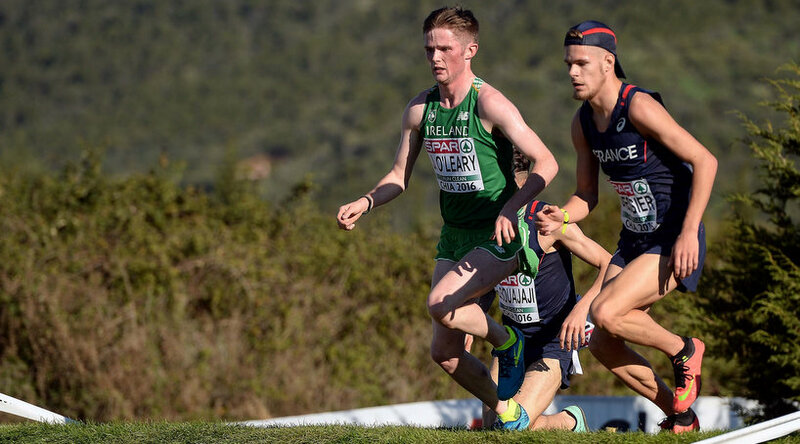 Karl Fitzmaurice (Ennis Track) finished 59th and Mitchell Byrne (Rathfarnham WSAF) 67th in the men’s U23 8,000m won by Belgium’s Isaac Kimeli. The senior men made it four top ten performances for Ireland in 10th led home by Paul Pollock (Annadale Striders) 36th over 10,000m in 29:42. 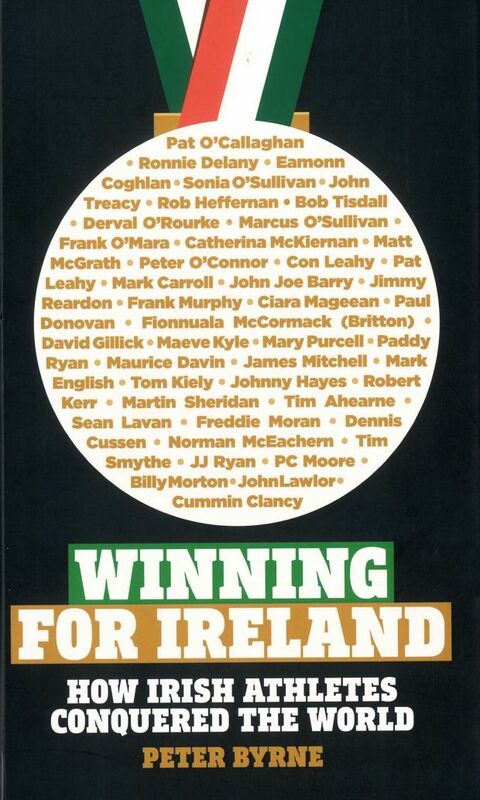 Mick Clohisey (Raheny Shamrock) was 43rd in 29:54, Mark Christie (Mullingar Harriers) was 56th, Liam Brady (Tullamore Harriers) was 62nd, Mark Hanrahan (Leevale) was 65th and Kevin Dooney (Raheny Shamrock) was 69th. The race was won by Turkey’s Aras Kaya in 27:39. Ireland: Amy Rose Farrell (Blackrock) 24th, Carla Sweeney (WSAF) 31st, Sophie Murhpy (DSD) 38th, Aisling Joyce (Claremorris) 55th, Emma O’Brien (Inbhear Dee/Sli Cualann) 64th, and Jodie McCann (DSD) 72nd.